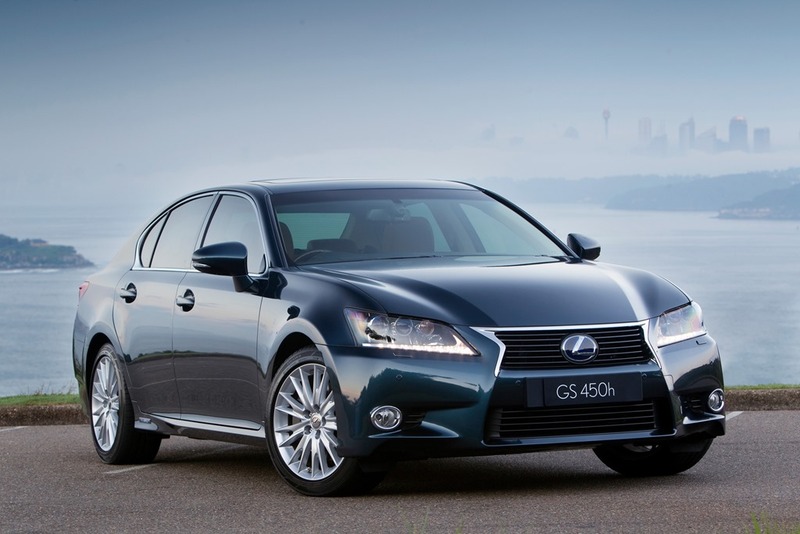 There are two things you notice about the new GS: It’s a big old hunk of car, and the quality is impeccable. 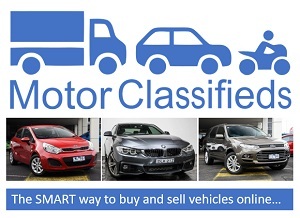 Its BMW 5 series size and the latest in the range to get the current generation make-over. The huge grill is aggressive and impressive and a rather odd shape. The rest of the exterior is equally impressive, though not actually attractive as such. If you’re quick you can catch the little dance the headlights do when you switch on the car for a bit of light entertainment. Then, as if you could take no more, you can nip round the back to watch the electric boot-lid for a few extra jollies. We all poo-pooh these little touches until we have lived with them but believe me they do exactly what they say on the box, and you thank them for it. With hands full of shopping bags you can operate the boot from the key fob. However, the button is located rather uselessly in the boot lid so you have to lift your bag laden hands above your head to reach it. Entry is via the fabulous keyless start system which unlocks the door by grasping it in the usual manner. It senses a hand on the inner surface but only unlocks the door if the key is secreted about your person. It is pure generous. 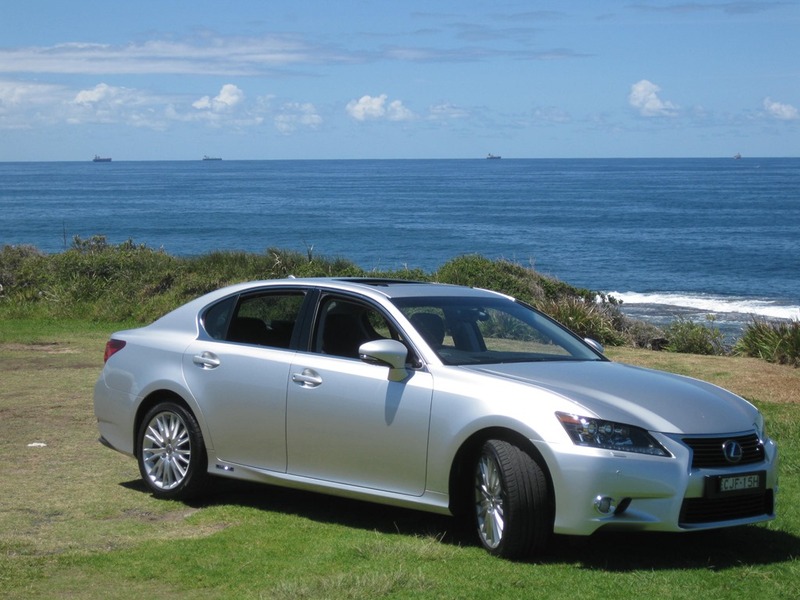 Pulling on the handle then opens the door although I half expected a flunky in a powered wig to leap from the shrubbery to do it for me as every Lexus owner has access to the Concierge Service. 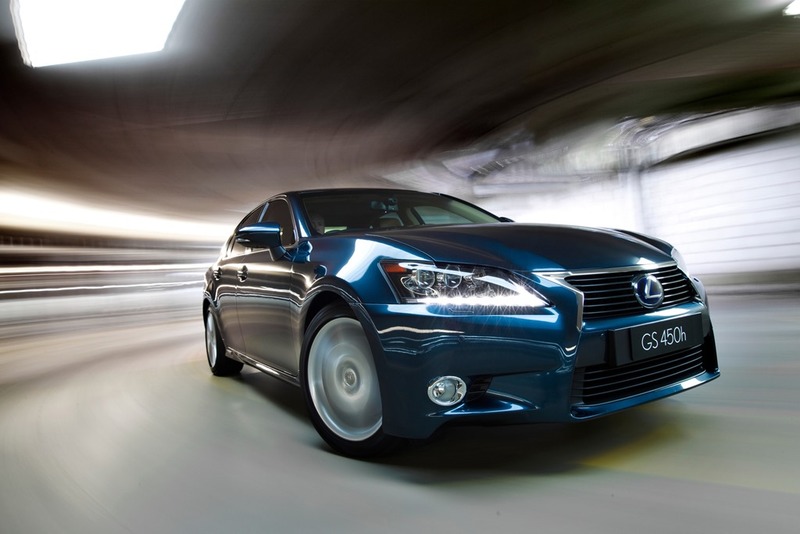 It’s not as if Lexus drivers aren’t toffy-nosed as it is, is it? 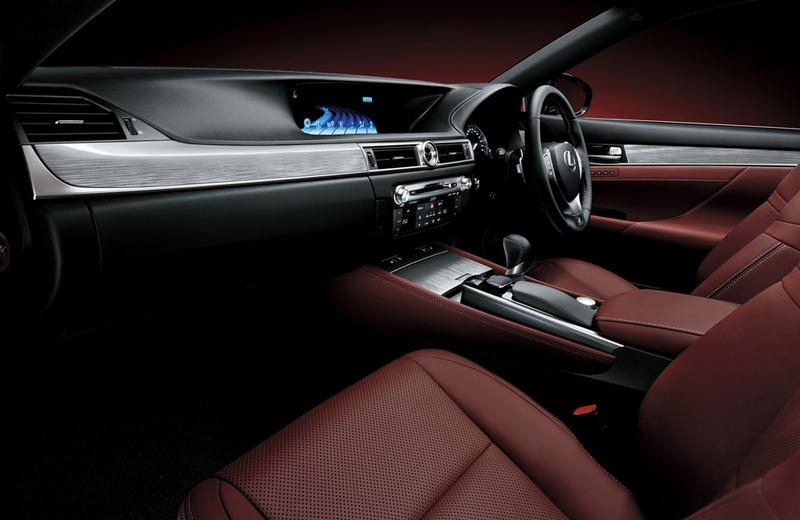 The interior is a glorious temple to good taste. The pictures aren’t able to convey a fitting sense of luxury. Every knob, switch and surface looks and feels like it’s been engineered to within an inch of its life. The leather is as soft as a baby’s bum and the metal highlights seem to have been lovingly fashioned by nubile wenches in white coats. You all know of my pet hate of metalised plastic so I’m happy to report that the plastics used in this cabin feel of the same high quality as the rest of the accoutrements. The panel fitting too has been inspected by that OCD child we all knew at school but couldn’t stand being within 20 metres of. 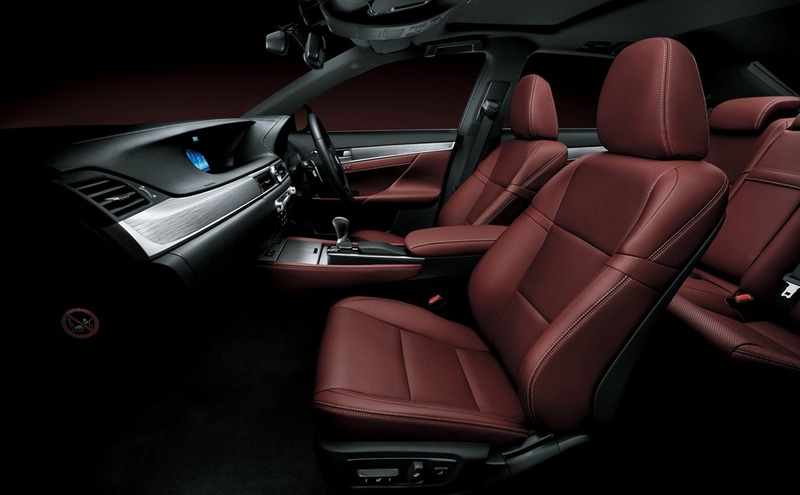 I don’t usually go on about the seating but Lexus has gone all out to try and make the front seats everything they can possibly be. They adjust electrically in 20 different ways and as if that wasn’t enough they also have heating and cooling built right in, but only on the top model. The rest make do with decreasing amounts of customisation which I’m sure makes very little difference to the driver who wasn’t aware of them in the first place. 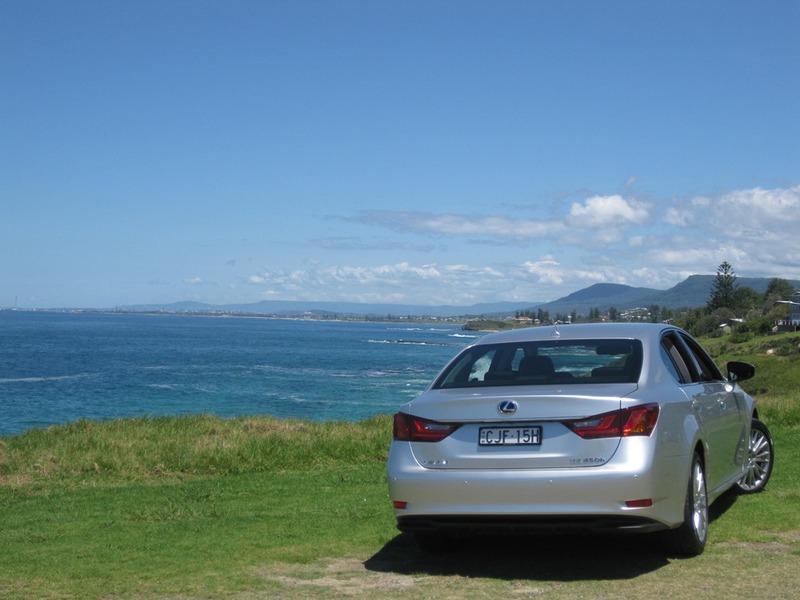 I did a few longish drives to test out the road-trip-ability of the GS and it is divine on the highway. I set the seat three different ways with the top half of the seat back in several positions to test it out. The squab folds in and out to support a longer legged person and each and every movement is done with tiniest motion of a finger. 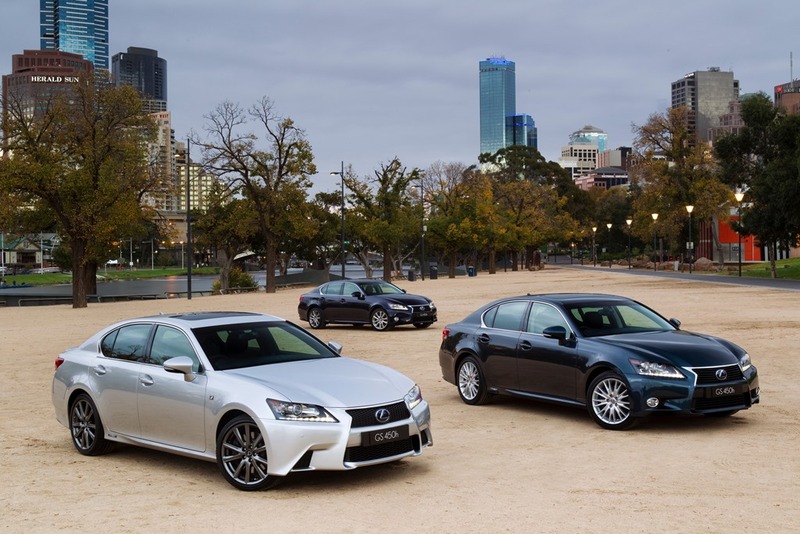 Lexus drivers mustn’t exert themselves. The instruments and equipment are impressive though I confess to taking quite a while to find the auto button for the wipers. It’s on the end of the wand rather than a position up or down like normal wiper wands. When it starts raining you hit the button then adjust the sensitivity with the variable control. It would make more sense to have the “on/off” and sensitivity control on the one slider. The steering wheel has the usual buttons but there are two things I’d particularly like to draw your attention to: one is the panoramic cinemascope LCD screen and the multi-purpose taco/eco meter. The dial on the left next to the speedo is a dual purpose one and normally operates as an indicator of frugality but pressing the “sport” button magically transforms it into a taco. 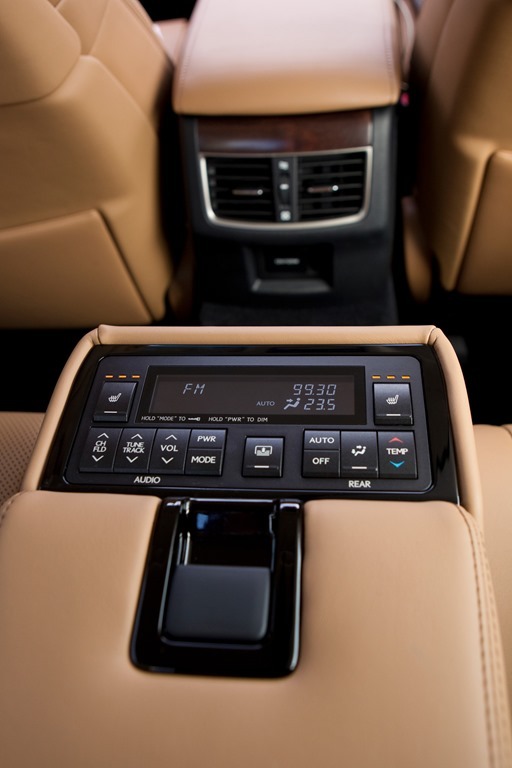 The LCD screen displays the infotainment system output controlled by the joystick just to the right of the gear lever. The joystick on our test car had only 50km on when we collected it so everything felt very new. In fact the whole car only had 50km on it so it’s little surprise the joystick did too. 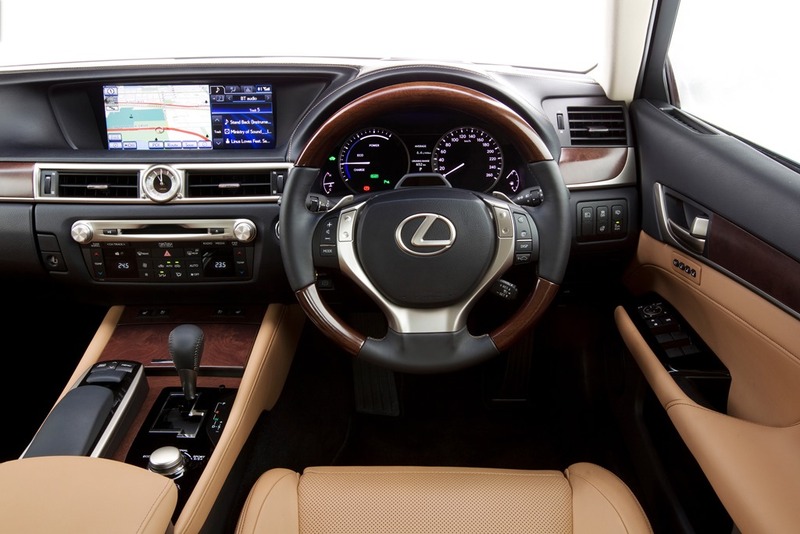 The joystick was a little hard to use especially on the move but it’s worth noting that I’ve driven other Lexus models with the same setup that was easier to use. The menu has an option to change the resistance of said joystick can you believe it? In a nod to luxury personal sport limousines of the past, there is a central analogue clock which resembles something created for use on an art deco yacht and sold at Harrods. It simply reeks of class. Starting the car by pushing the button has become the standard rather than a luxury and I expect this on every car over $24k these days. 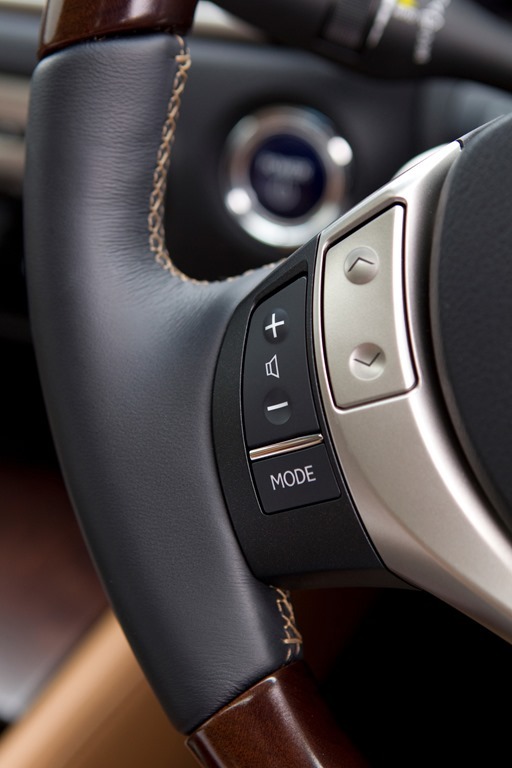 There are other luxury touches like a parking brake that can be set in full auto mode and engages in Park. 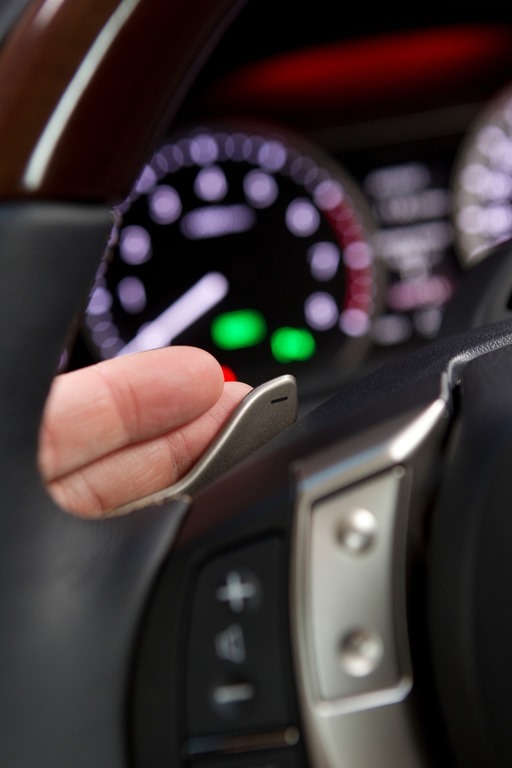 It can also be set to “Hold” meaning in when you stop in traffic the car holds the brakes until you step on the throttle exactly like hill hold. I can’t see a time when you would need this feature. I’ve used it on cars before and always found it more painful than helpful so leave it turned off. Sometimes I think features make driving harder instead of serving the motorist. When you start the car the steering wheel and seat move to pre-programmed positions which is a stroke of genius. It gives all drivers easy access with ingress and egress given as much room as possible. The distance the seat slides back is programmable as are many other important functions and hopefully it won’t run over the feet of the rear passenger if set to reach the full rearward travel. All of these functions are manipulated via the huge 12.3” central screen of the 450. No expense has been spared so we’ve included the list of inclusions below. On the top of the steering column a little black hump peeks up above the “L” on the central boss and is used to detect tired eyes on a weary driver. Since the GS is setup for long distance cruising the tired eye detector will come in handy and could well save your life. No, I didn’t get a chance to test it more’s the pity. The auto headlight dipping is amazing but I’m not so sure when we would ever use the steering wheel heater! The Blind spot system is much handier. It can be turned on or off and senses if there is an object it thinks you can’t see. Unlike the Volvo with its “look at me” bright red LED, the Lexus has a more discrete orange graphic. It appears in the corner of the doors mirrors on the side of the obstruction so as you check your mirrors before the lane change it will engage your attention. We’ve all done it, we’ve all gone to change lanes only to see a bike coming up on our inside so saving only one life makes it a very cheap option. It’s not so rare now, but the radar guided cruise control is brilliant. Cruise control has a bad habit of turning a driver into a zombie after a hundred clicks. The system senses an obstacle appearing in front of you. You get an indication on the dash but it is very subtle. 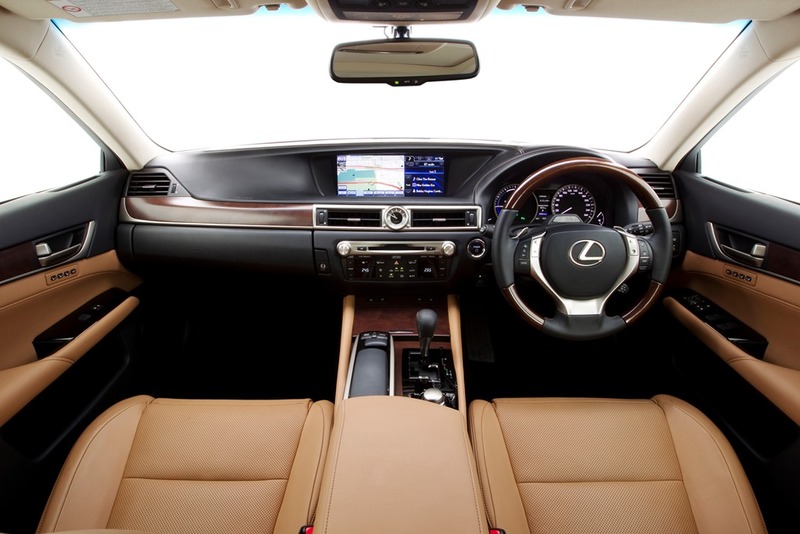 If a zombified motorist fails to act the Lexus applies the brakes with varying degrees of enthusiasm depending on the urgency of the situation This distance is adjustable with a button but on the open road its best left on maximum to give the full range of protection. Two less desirable, even slightly annoying aspects were the bamboo steering wheel and HUD. 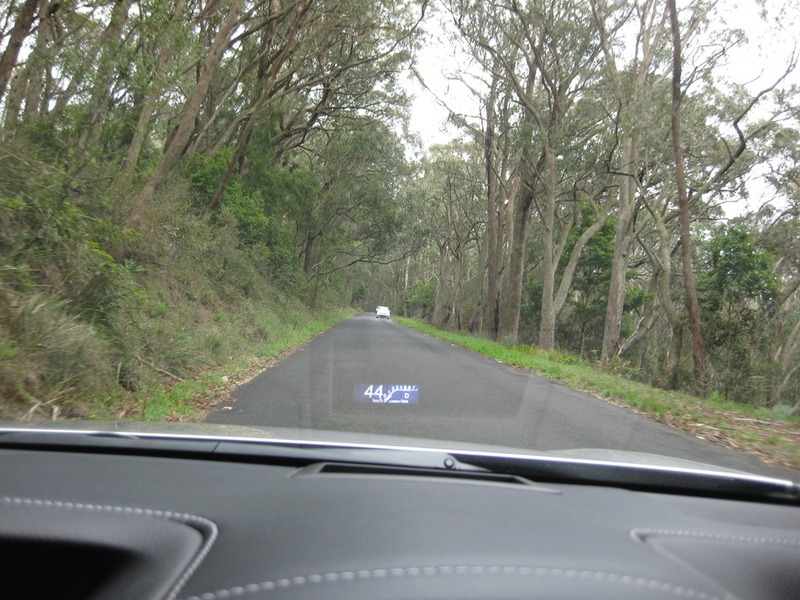 The HUD displays info on the windscreen in front of the driver. It is annoying at least in the short term though perhaps a longer assessment might alter that perception. The other thing is the steering wheel. Inexplicably, half of it is made from enviro-friendly bamboo. In the name of all that is holy, why? 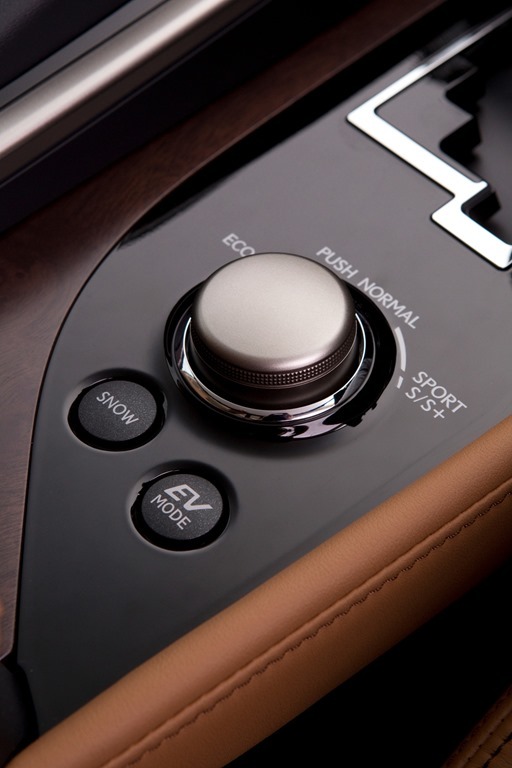 Yes the wheel is heated but the feel of different materials and surfaces under the touch is most off-putting. It’s rather like they suddenly remembered the 450h is a hybrid and that it desperately needed another nod to greenness. One material only please! I couldn’t go another word without mentioning the audio system which is stunning. I’ve been in $500,000 cars that don’t sound as good. There are enough speakers in the Mark Levinson system to power the Sydney Opera House. The sounds is rich and full and can be made dark and brooding or light and bright by a myriad of adjustments but leaving it flat and allowing Mr Levinson to wash over you feels like a ticket to a concert. It is many moons since I enjoyed such a wonderful live performance, let alone from the driver’s seat of a luxury sports tourer. It’s well worth however much it costs. Now for the drive: put the CVT (yes I know, EEWWW) into D and the luxurious feel continues. The BMW 5 Hybrid uses and 8 speed auto so I’m mystified as to why Toyota persists with the dreadful CVT. None the less, there is 352Nm of torque available from the moment you stamp on the “go” pedal. 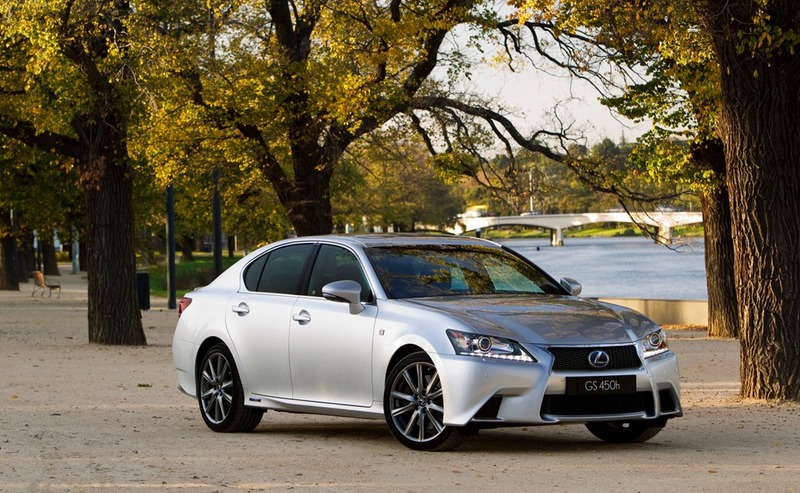 You really do notice the smooth grunt which feels more akin to a small V8 rather than a hybrid. The combined output of 253KW is nothing to be sniffed at but for a top-of-the-line luxury executive transport I’d like a little more, so perhaps a turbo? After all the Volvo S60 manages 243KW from a little V6 turbo-petrol but the Lexus has been criticised for its fuel consumption. Perhaps Toyota kept this in mind when selecting the drivetrain. Having recently driven the magnificent Holden Volt, I wondered if a range extender electric option wouldn’t be a better choice. I’ve driven several hybrids since the Volt and none has matched either the fuel consumption or the silent powerhouse at its heart. 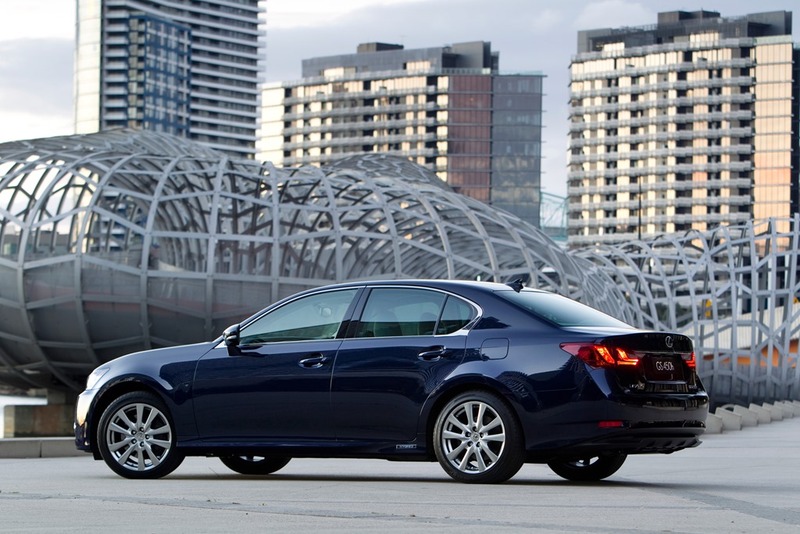 The Lexus hybrid operates in the same way as most other Toyota hybrids so we know it works but is it the best alternative. 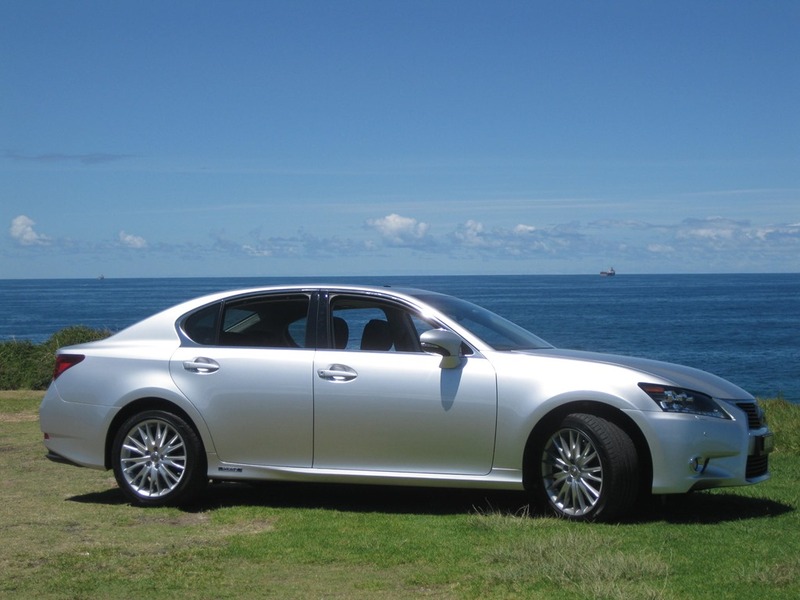 The big Lexus is very smooth on the road. 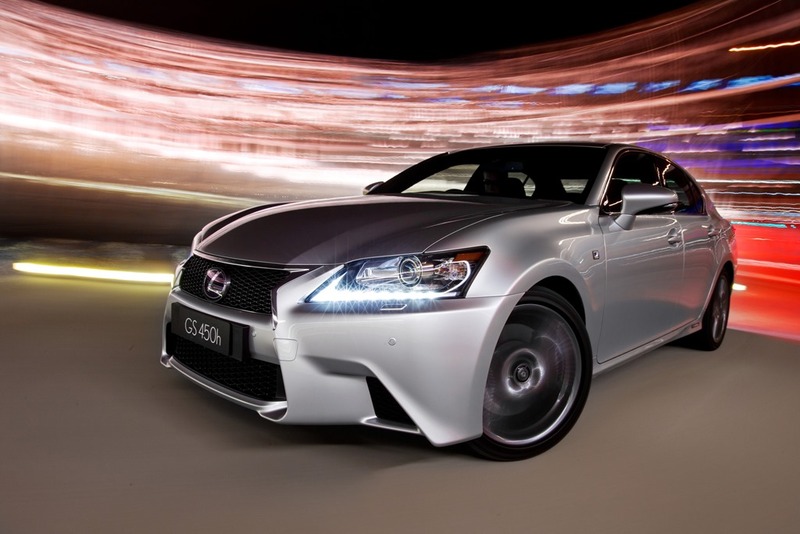 Being the F-Sport version, we have stiffened suspension and various additions to the trim but I find the ride would be more comfortable in a luxury mini-limo if most of the time it was much more compliant. The steering is a delight and feels light yet precise as you might expect from a car costing half a small city apartment. I did a short trip down the Southern Highlands and the Bradman Museum where the GS felt most at home amongst the gravel drives and leafy lanes. The other run down the Grand Pacific Drive was similarly notable. She outdid herself on those tight bends as my favourite playlist echoed the forest. It was a sunroof open/widows down Kodak Moment as I crossed the Sea Cliff Bridge with Lash singing Take Me Away. As I reached the other side, Nancy Sinatra serenaded me with You Only Live Twice as if to signal arrival at my destination. The sunny fine 25c day was far too short lived and I wanted more, much more but it was time to turn for home. 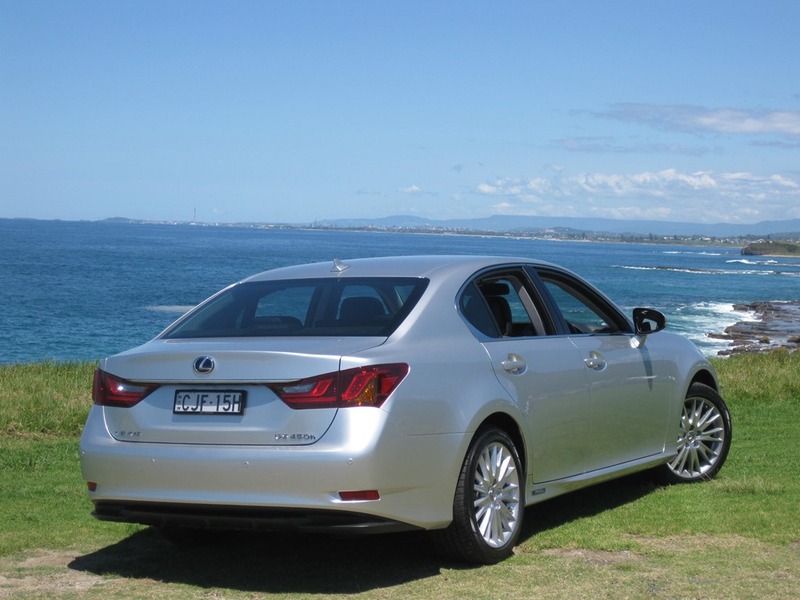 The verdict might surprise you all but I liked the GS450h very much. It is refined and classy and a delight to drive. Moreover, it has the X factor. 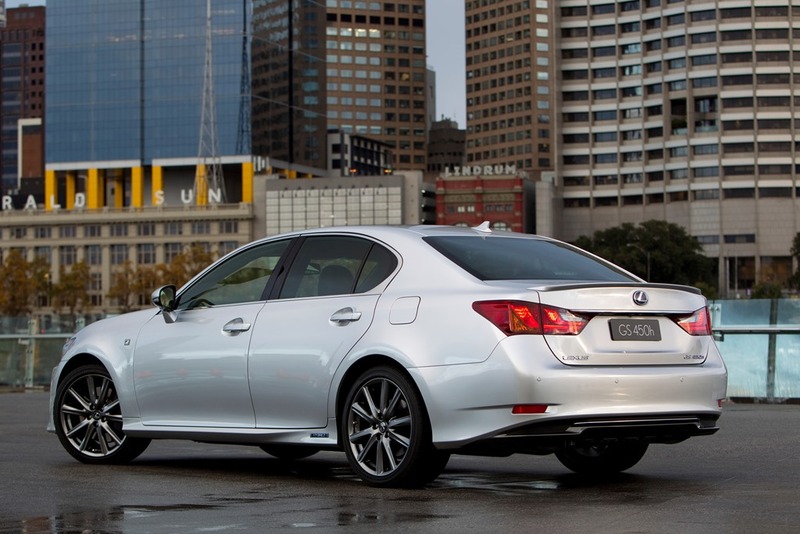 While it doesn’t make you smile, the Lexus GS450h does make you feel rather special. The rear is a nice place to be too with its audio and climate controls. There is even a little button for an electric rear blind. Much has been made of the fuel consumption and many have commented that a diesel such as that in the BMW or Mercedes Benz uses less juice, and they are right. Still, neither of the latter feel homey inside. They both suffer from a German restraint which, while not boring, isn’t interesting either. 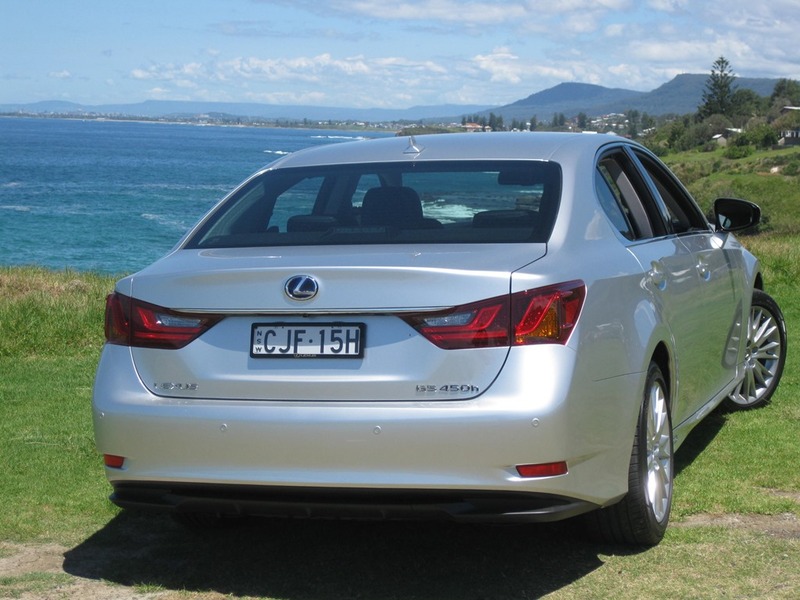 The Lexus is impeccable inside and were I to be in the market for a large exec conveyance would take her home in a flash. The sound system is a revelation, the drive is sublime and the cabin is gorgeous. This is a car you could do a million K’s in, and then another million K’s. In a departure from our usual practice we’ve included the full specs to do justice a worthy offering. 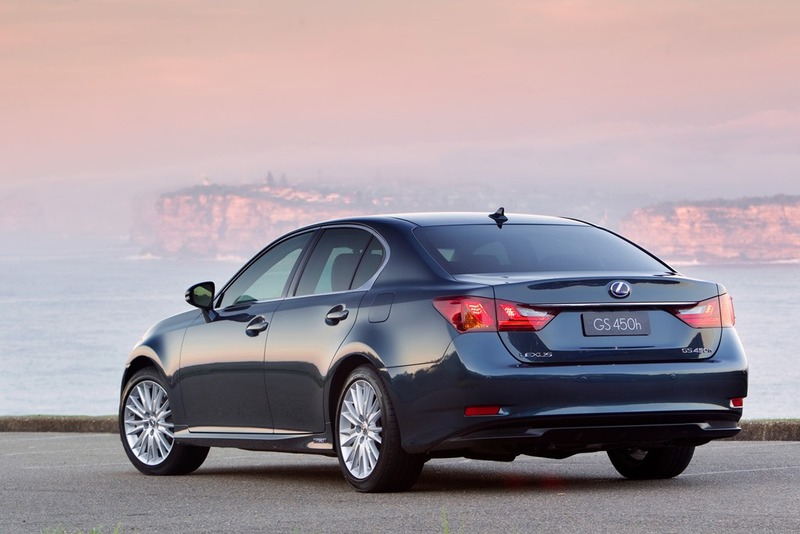 The Sports Luxury model tops out the range at $121,900*. 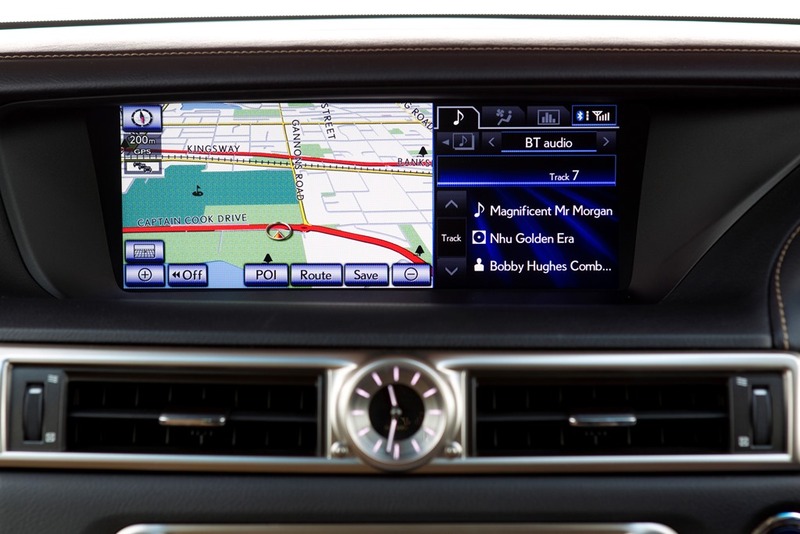 On top of the expansive standard specification, GS 450h Luxury models will offer an enhancement pack featuring the Pre-Collision safety System with All-Speed Active Cruise Control. 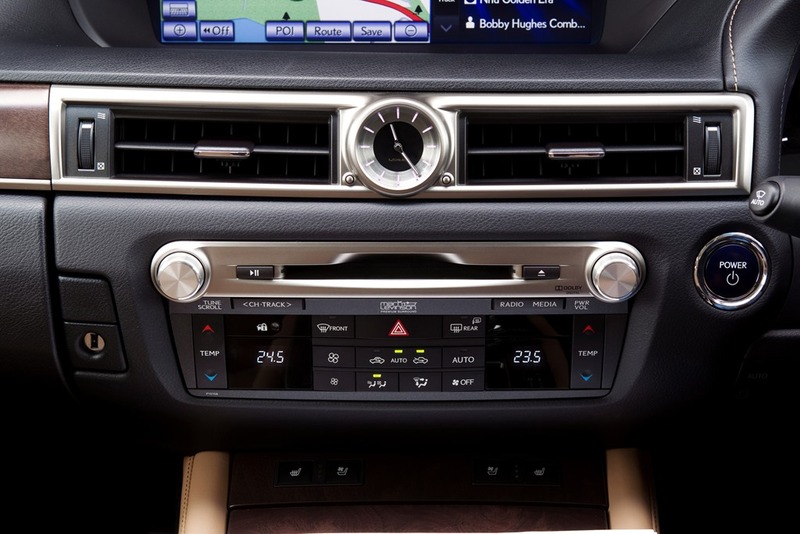 GS 450h F Sport models will offer an advanced technology enhancement pack including LED headlights, 835-watt 17-speaker Mark Levinson Audio and the 12.3-inch multimedia display. 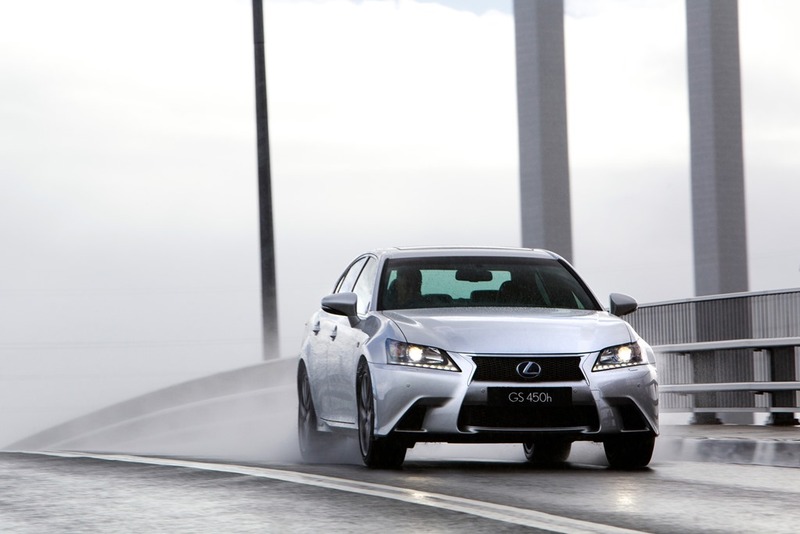 * Fuel consumption will vary depending on driving conditions/style,vehicle conditions and options/accessories. Source of fuel consumption data: ADR81/02combined cycle.